Bowling shirts and accessories welcome! 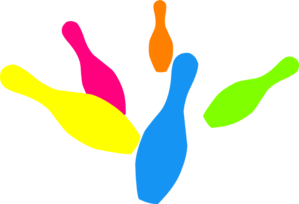 A fun evening to have a meal and / or knock some pins down while visiting with your fellow LGBT Therapists members. Members, dates, family members welcome! Bring your business cards and promotional materials. Curious about the Network? Come Bowl & Tell with us! Free to register ~ fees will be paid to Elsie's. Shifts will go fast - some have already been filled by early birds! Last year we had more volunteers than shifts! Volunteer for two-hour shifts on Saturday or Sunday: 10am-noon; noon-2pm; 2-4pm; 4-6pm. We would like 2-3 people/shift. For more information and to reserve a shift contact: Irene at irenegreene122@gmail.com or 612.874.6442. If you're not volunteering with us, make sure you stop by to say hello! Latitudes is an LGBT residential addiction treatment program nestled in suburban St. Paul, MN. Latitudes provides individualized treatment programs for LGBT adults ages 18 & up. Latitudes OP is an LGBT outpatient addiction treatment program located inside our Twin Town and Avalon Midway facilities. Latitudes OP offers flexible and individualized treament programs for LGBT adults ages 18 and up. For more information call 612-454-2014. This powerful event celebrates business and community leaders who are working to create a fully inclusive economy, workplace, and society in Minnesota. 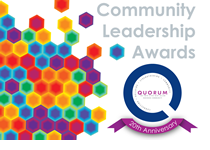 This year, we are also celebrating the rich 20 year history of Quorum. This a wonderful opportunity to mingle with our past and current award winners as well as meet local business leaders and elected officials. Couples in Transition is a support group for committed couples. When one person in a relationship goes through a gender transition, the other partner goes through a transition of their own. Watching your mate change so radically can be a very difficult process. There are very few resources today for the non-transitioning partner. Couples in Transition meetings focus on the relationship, and on the experiences of non-transitioning partners. Meetings are free. Visit www.CouplesInTransition.org for more information. President Obama Calls for End to Conversion "Therapy"
From the American Counseling Association: In a statement released April 8, Valerie Jarrett, senior adviser to President Obama, wrote that, "As part of our dedication to protecting America’s youth, this Administration supports efforts to ban the use of conversion therapy for minors."